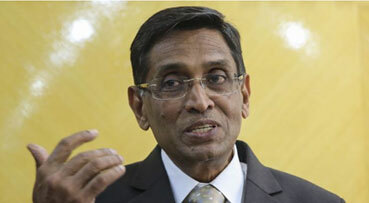 The Health Ministry is still in talks with the private healthcare and insurance companies on the technical aspects of implementing the bundling concept to address the rising cost of private healthcare, said its minister Datuk Seri Dr S. Subramaniam. Stating that the ministry had already started the initial consultations with the stakeholders, he said the implementation was still pending since there were still numerous technical aspects to overcome. "Yes, the government is aware of high medical charges by private hospitals, and our discussion has started since last year to find a solution. The bundling method has been carried out in other countries, and the ministry is currently looking into the experiences of these countries. "Upon reaching the agreement, our team consists of ministry and Bank Negara's officials will have to go through a legal process of making it enforceable by law,"he told reporters after delivering his New Year's message to his ministry\'s staff here today. Under the bundling concept, Dr Subramaniam said the healthcare providers were paid for a single payment for all the services performed to treat patient undergoing a specific episode of care.